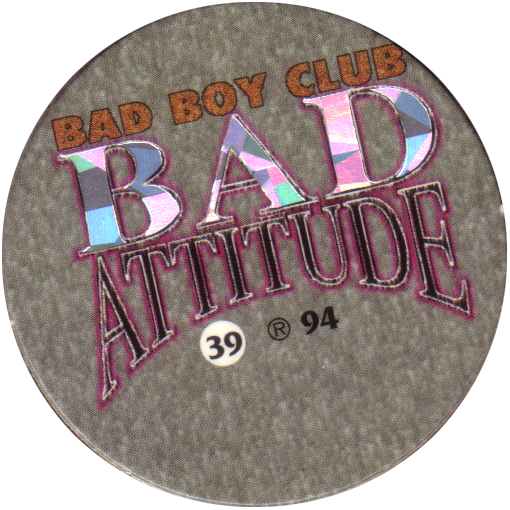 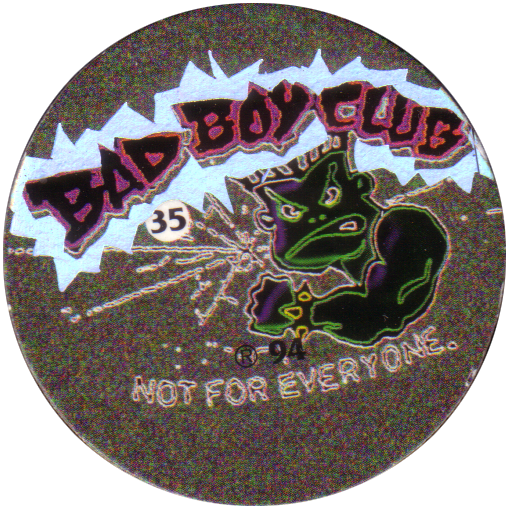 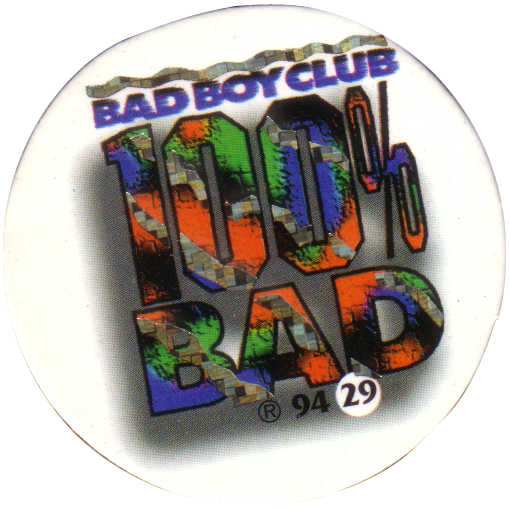 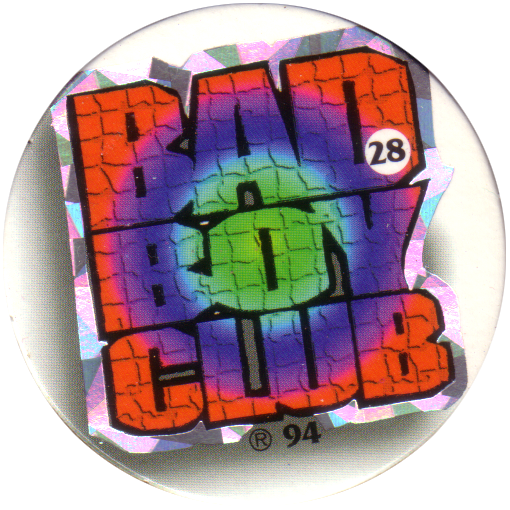 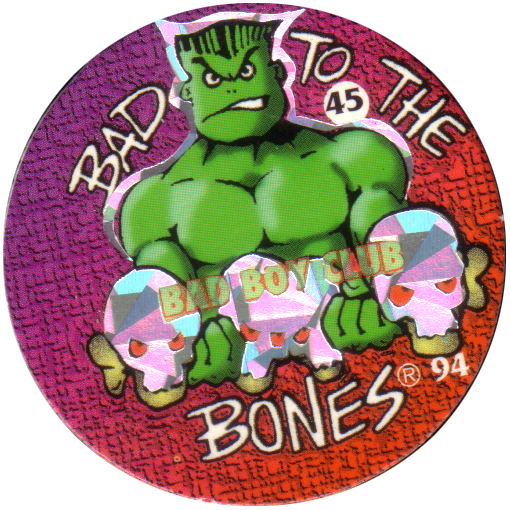 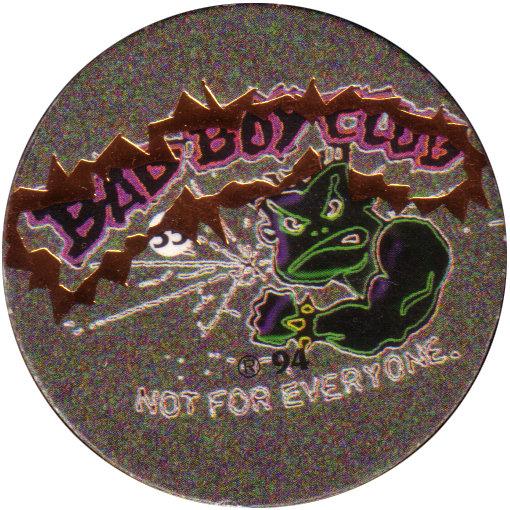 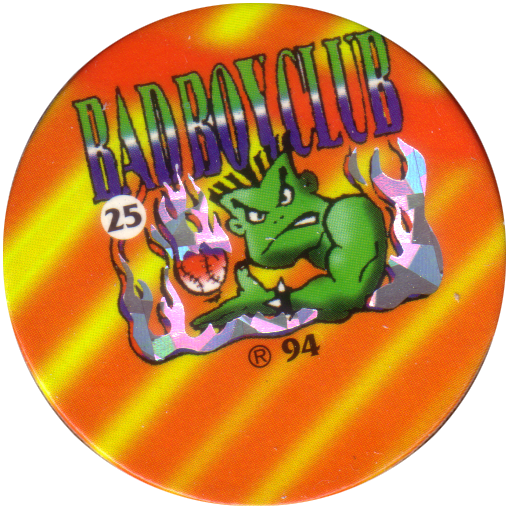 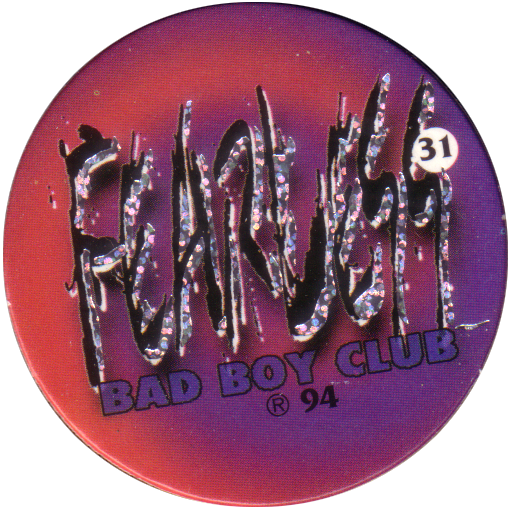 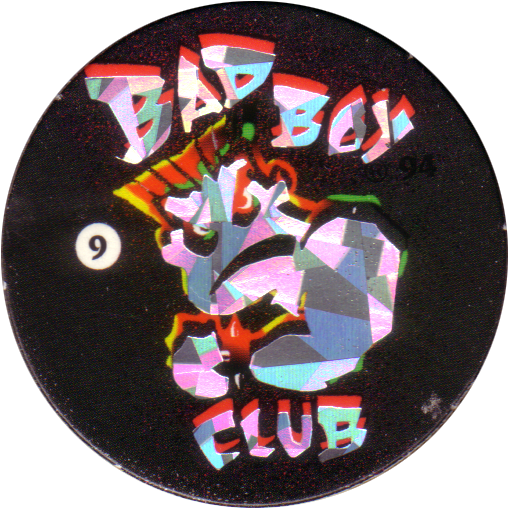 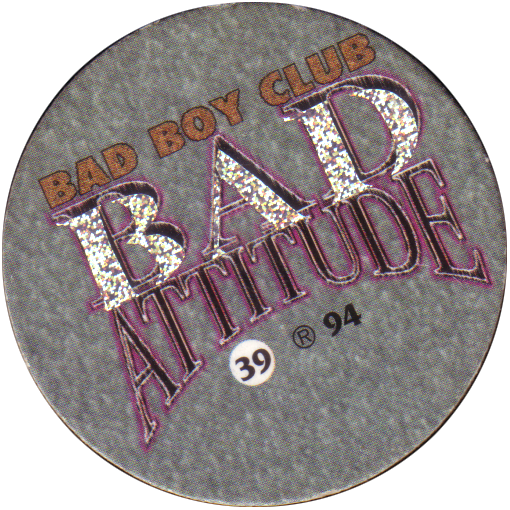 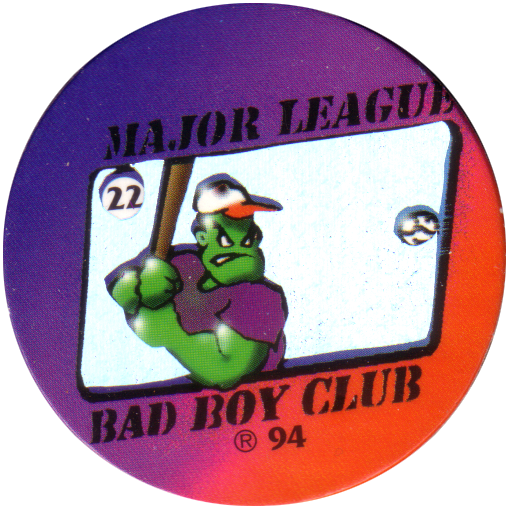 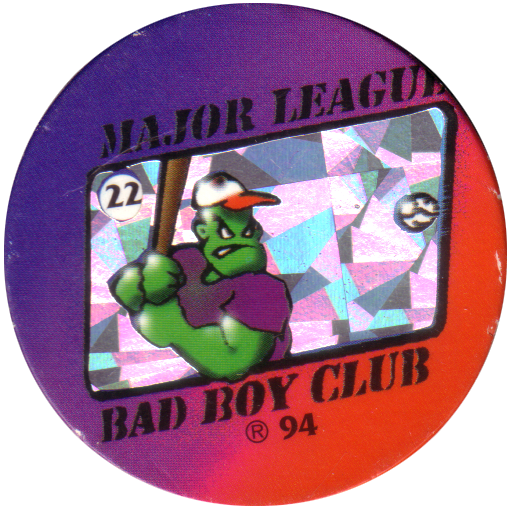 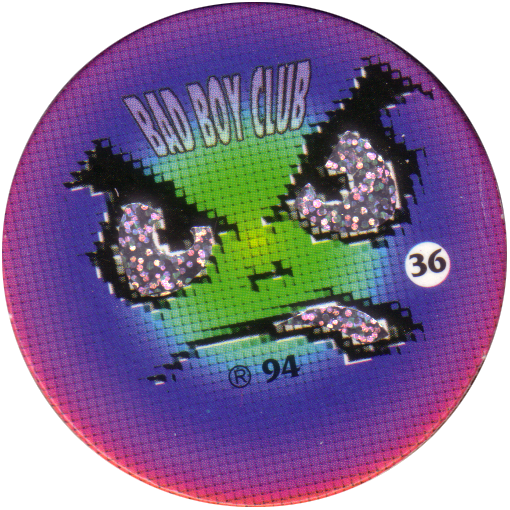 Info:This is the full set of Bad Boy Club milkcaps / pogs. 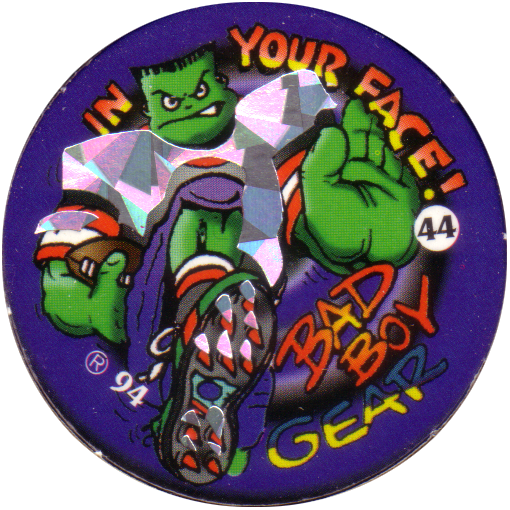 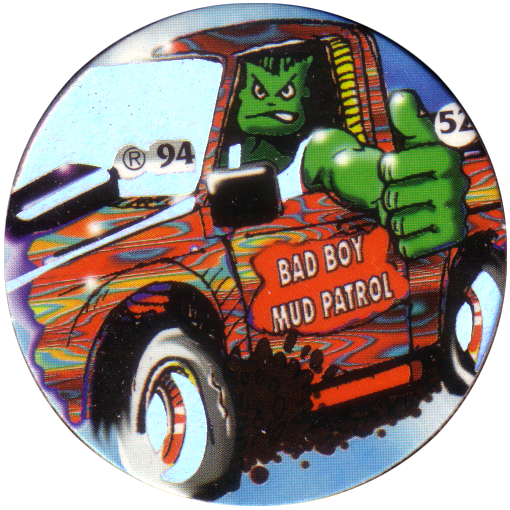 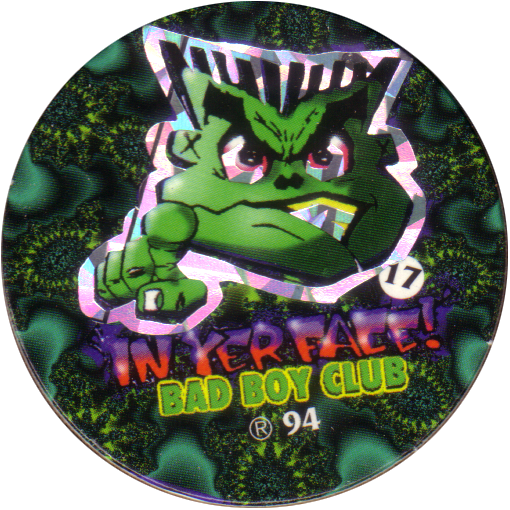 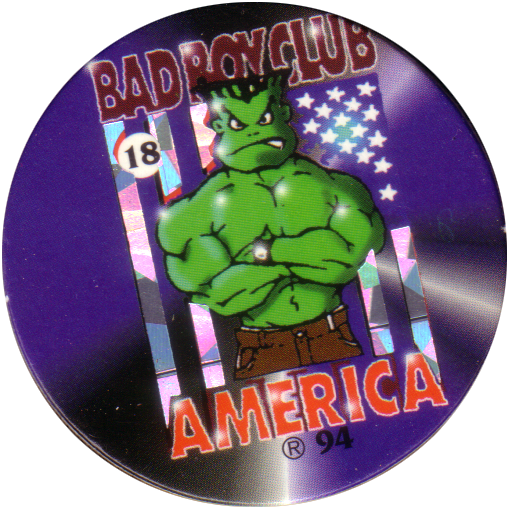 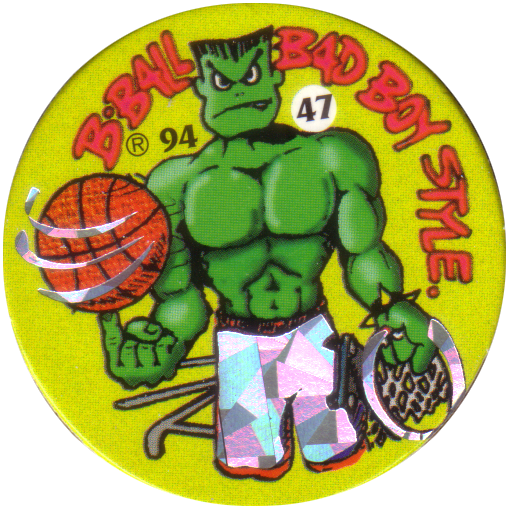 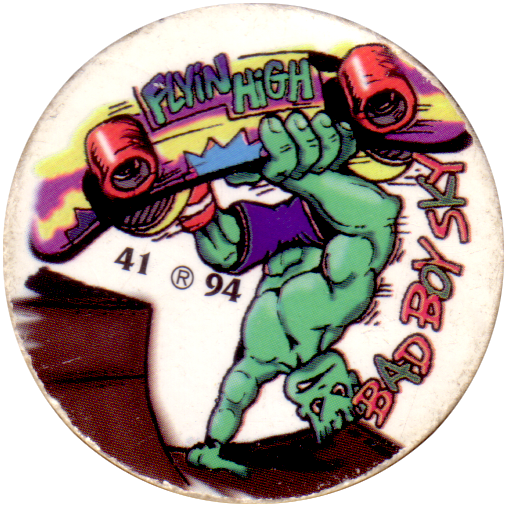 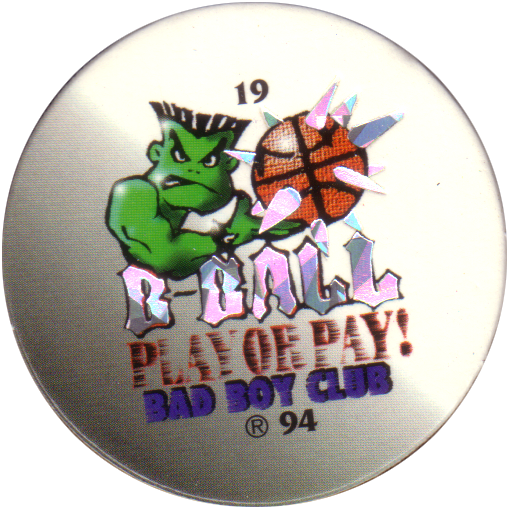 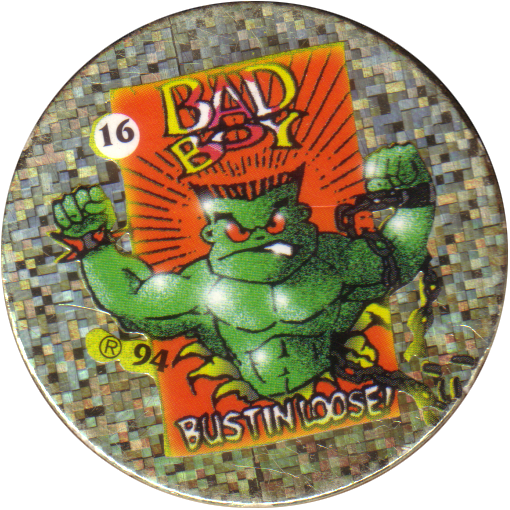 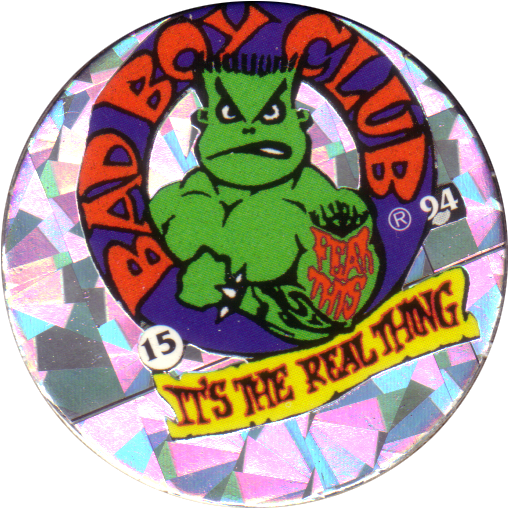 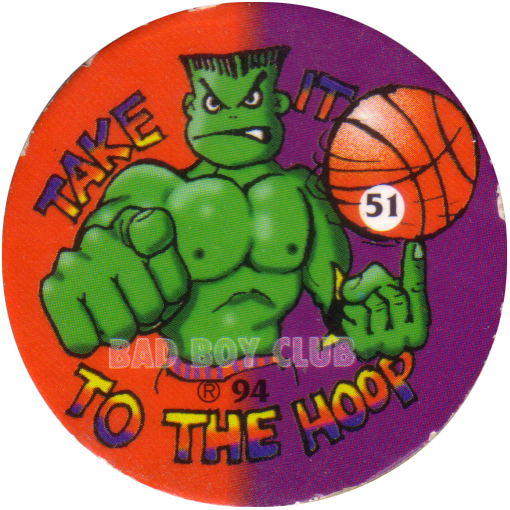 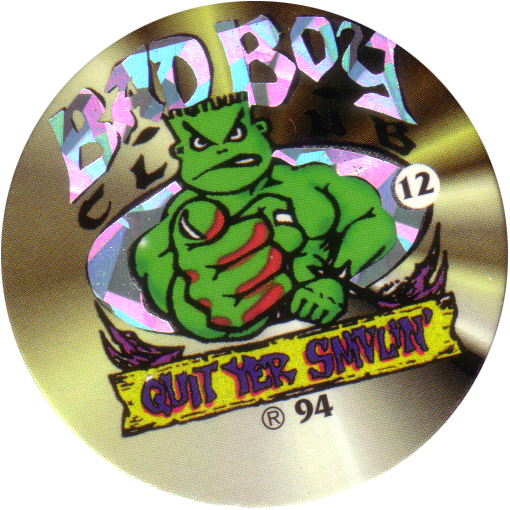 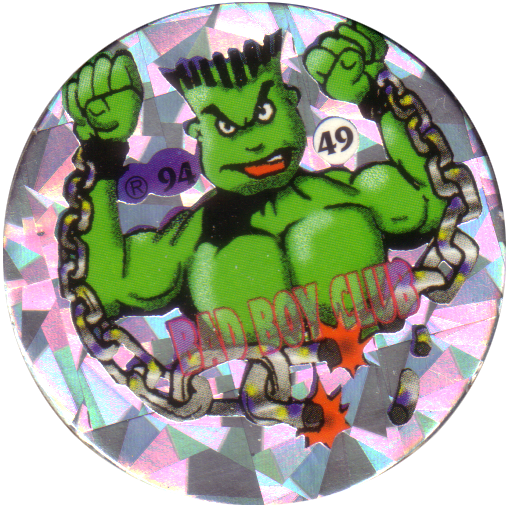 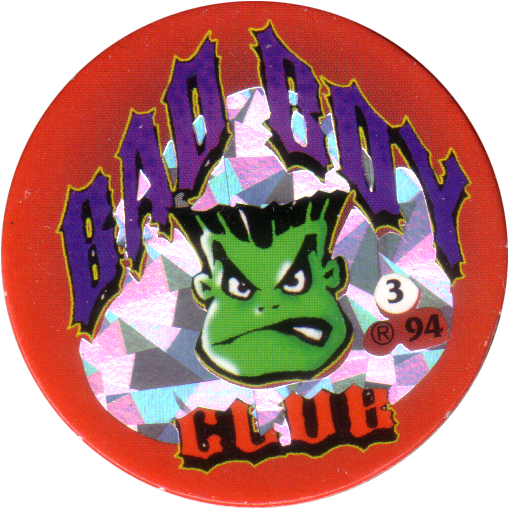 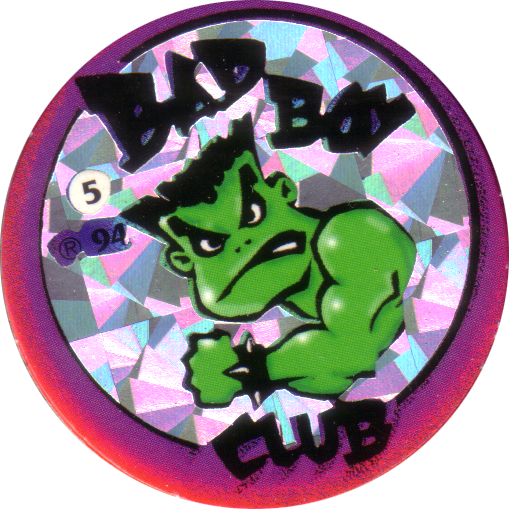 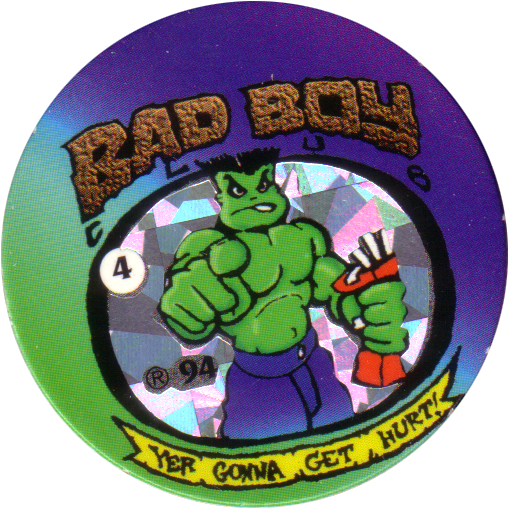 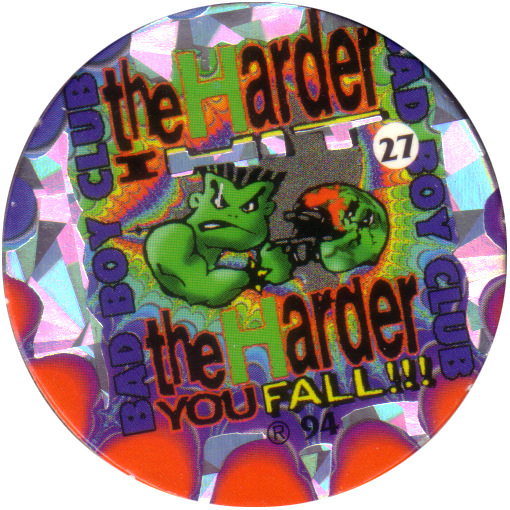 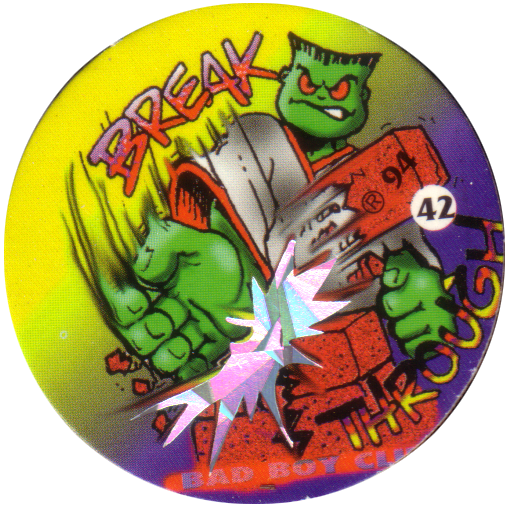 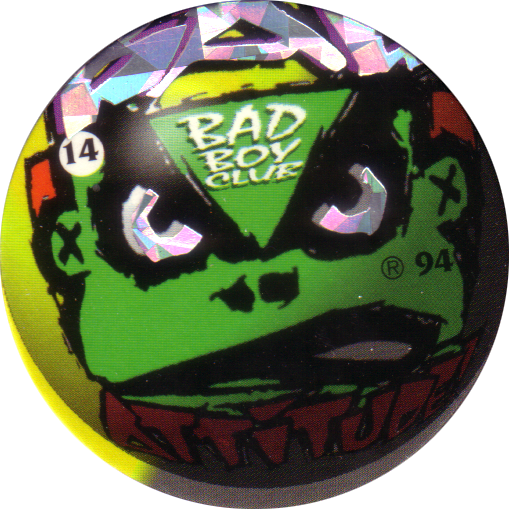 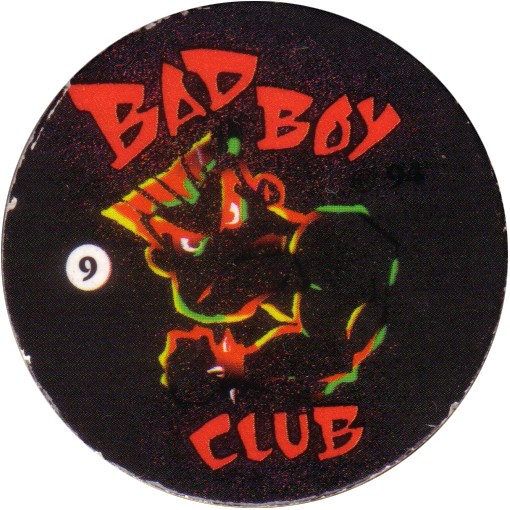 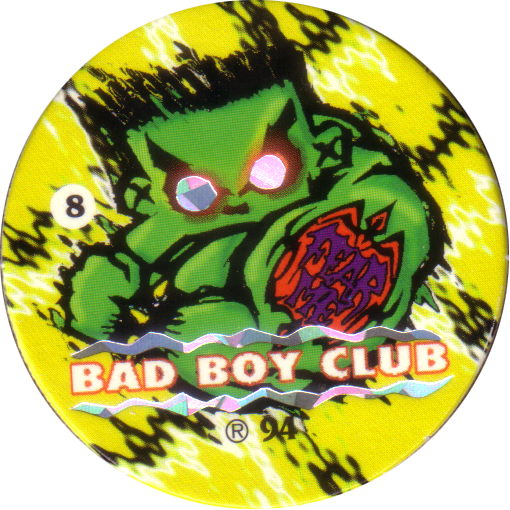 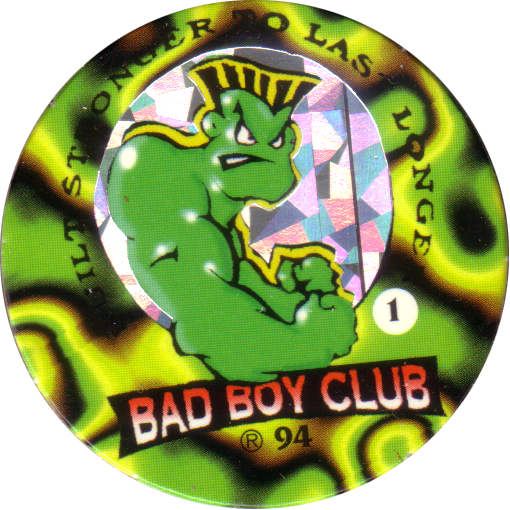 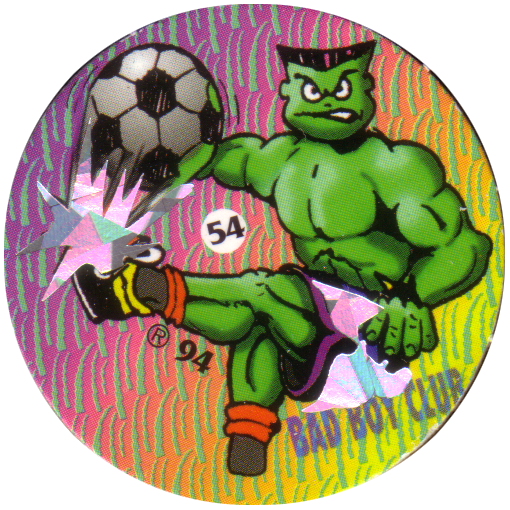 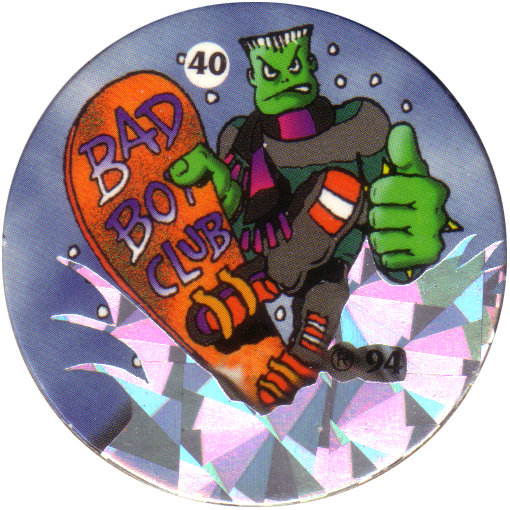 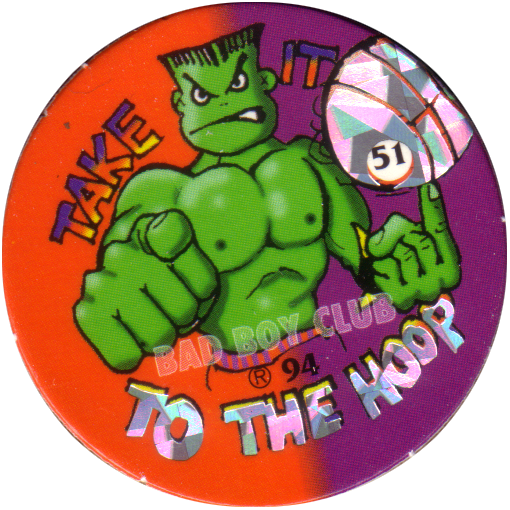 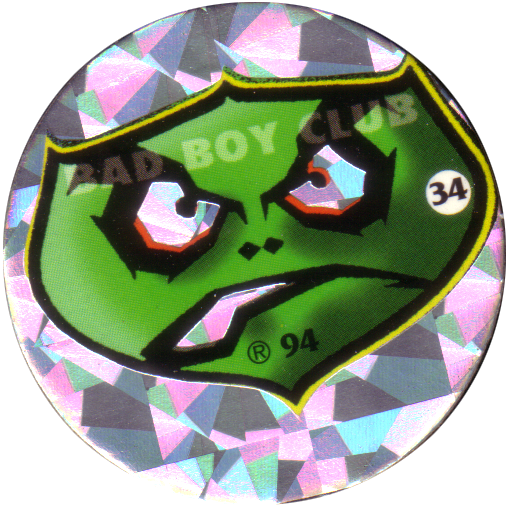 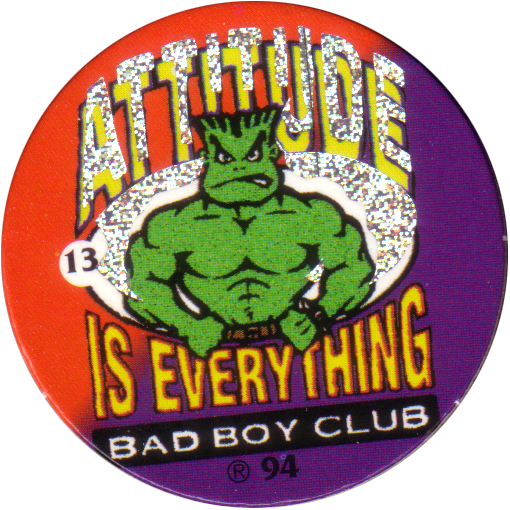 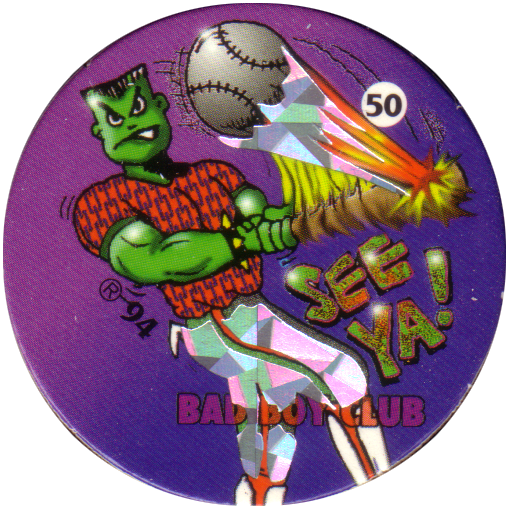 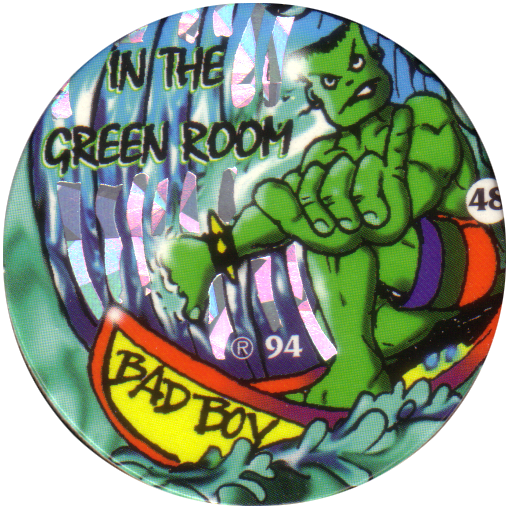 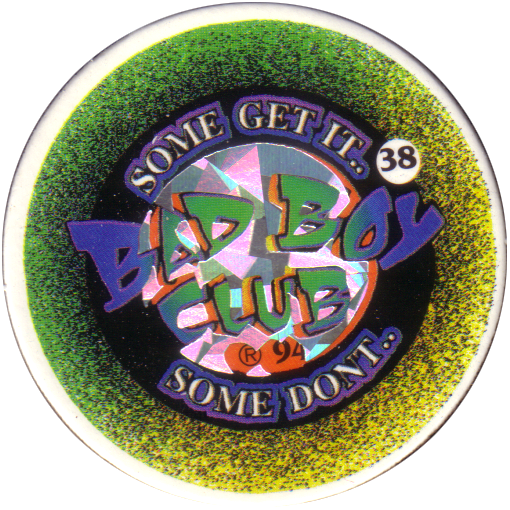 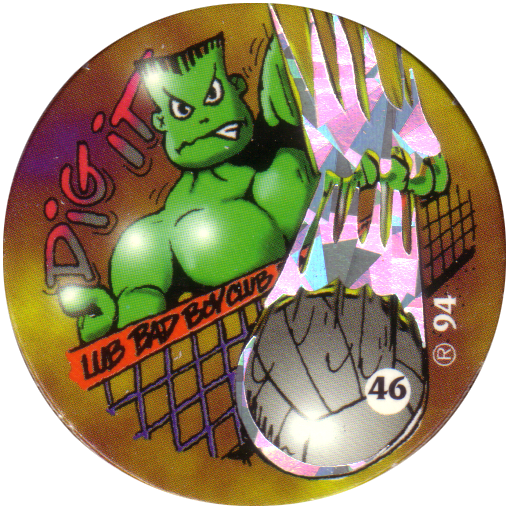 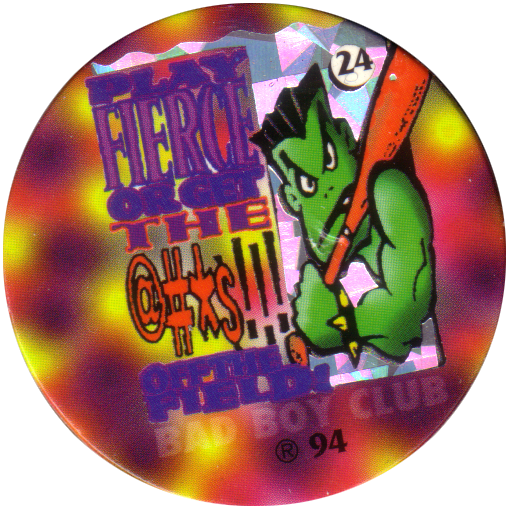 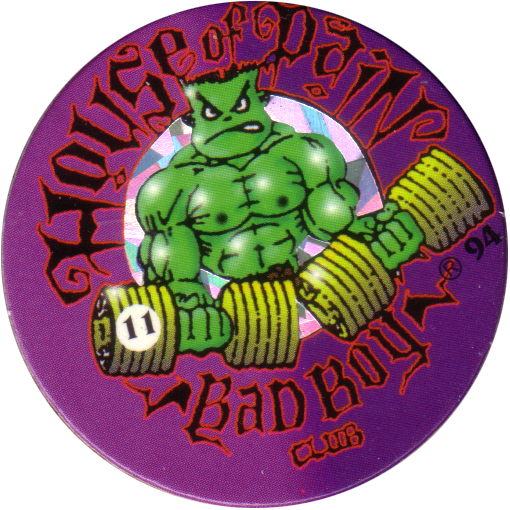 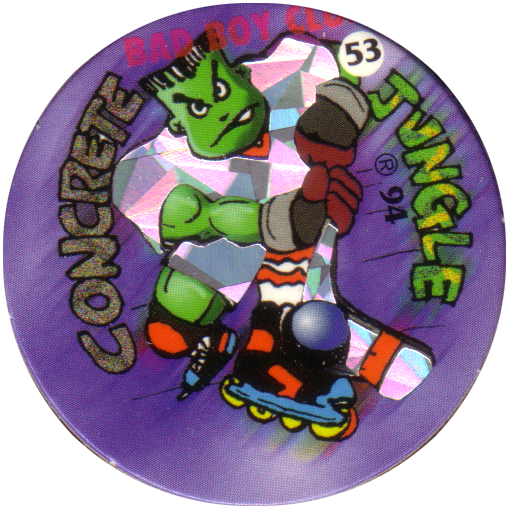 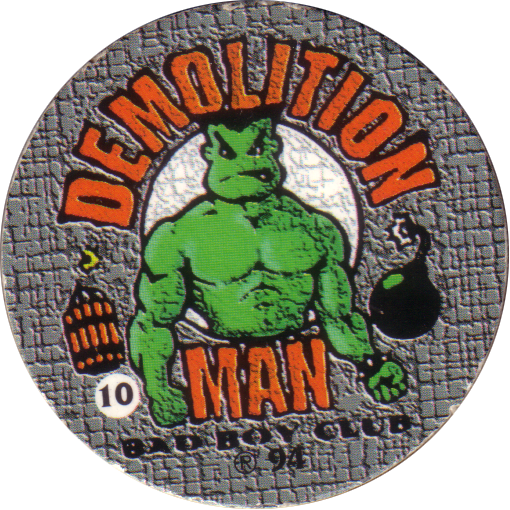 The designs feature 'Bad Boy', who looks like a rip-off of the incredible hulk. 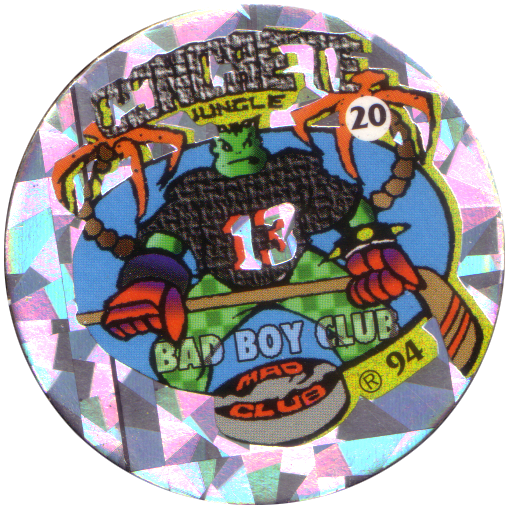 There are variations on the 'shinies' / 'foils', with them being printed with a range of different holographic foils and even no foil at all. 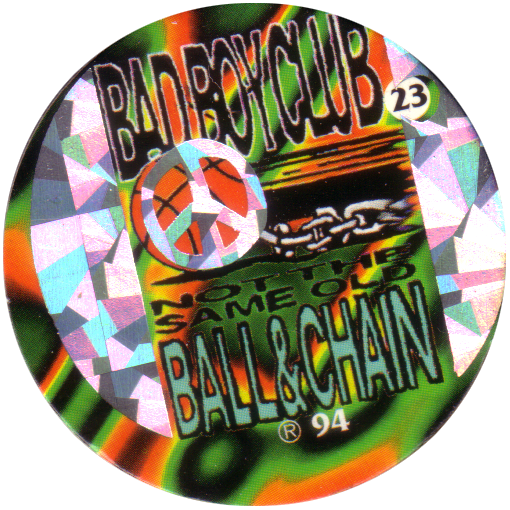 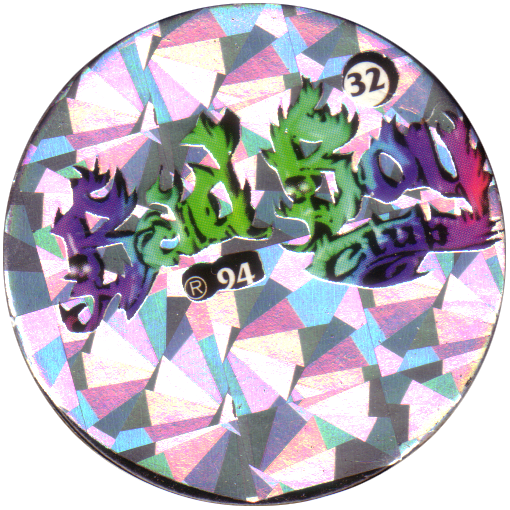 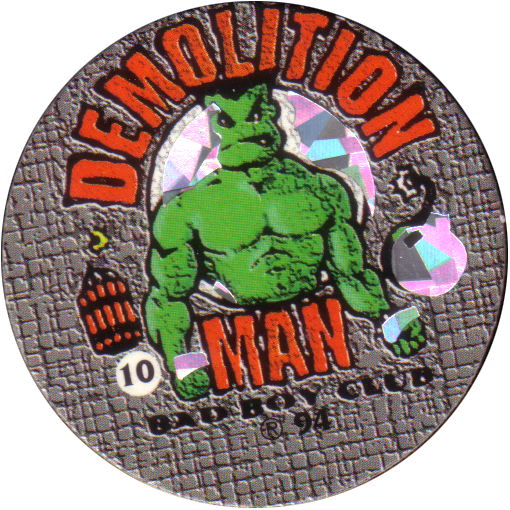 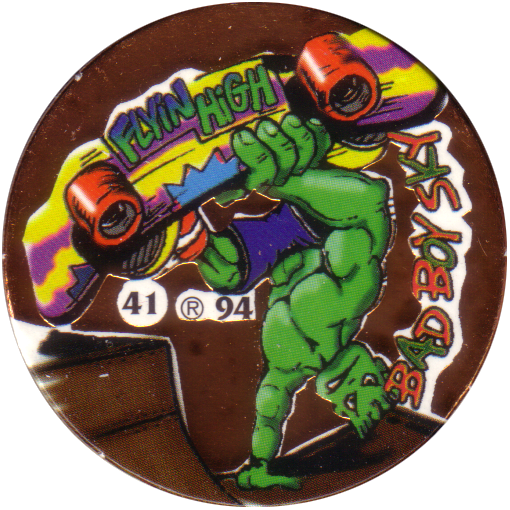 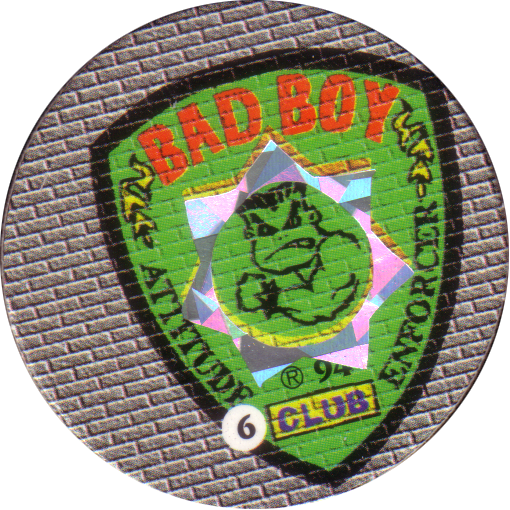 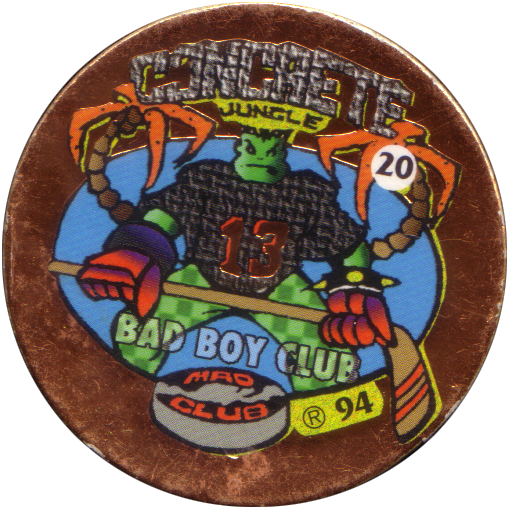 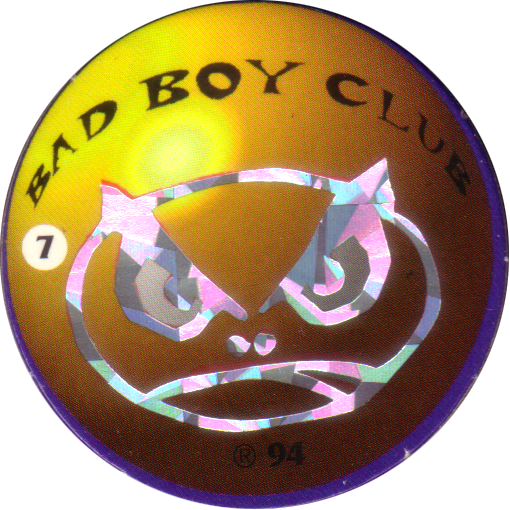 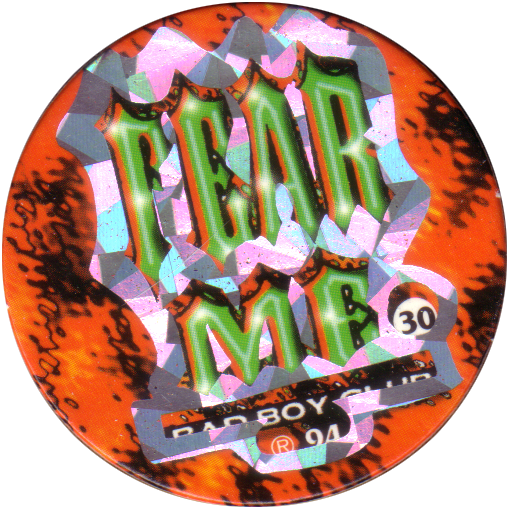 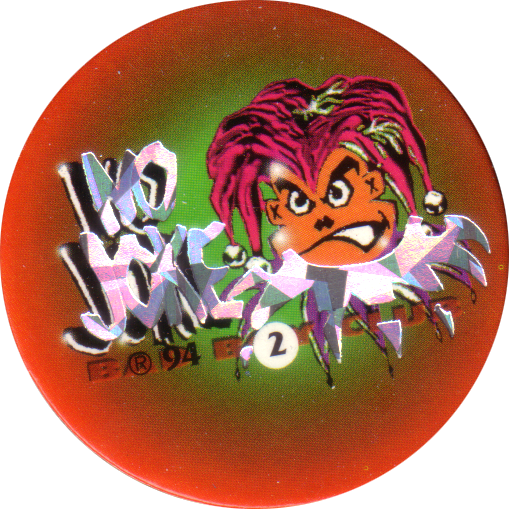 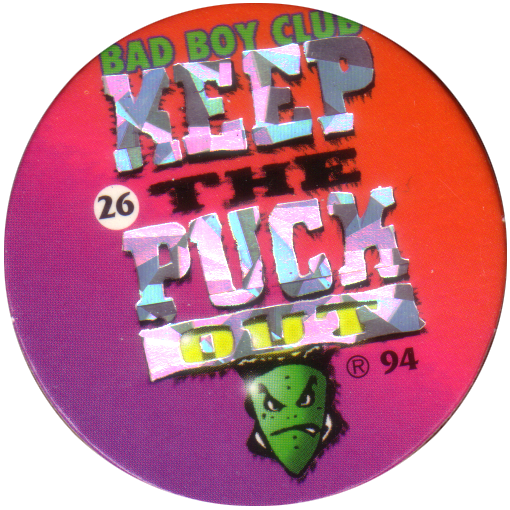 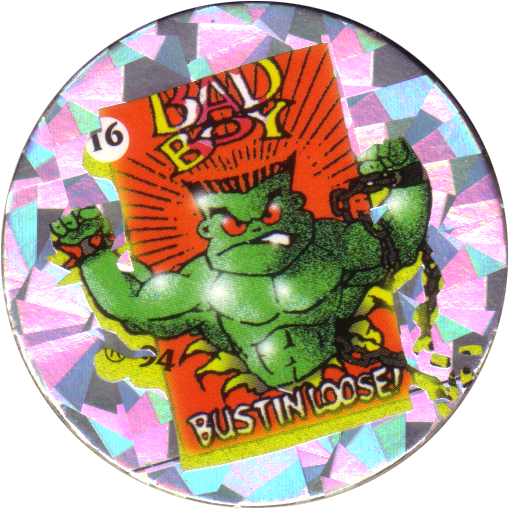 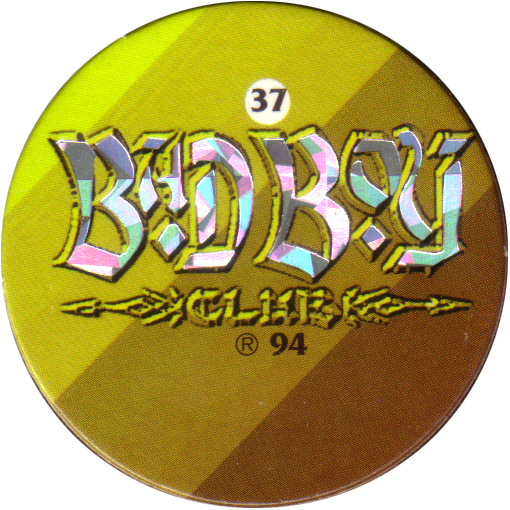 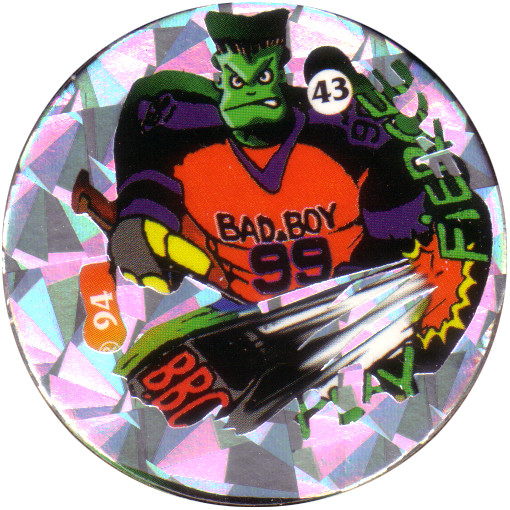 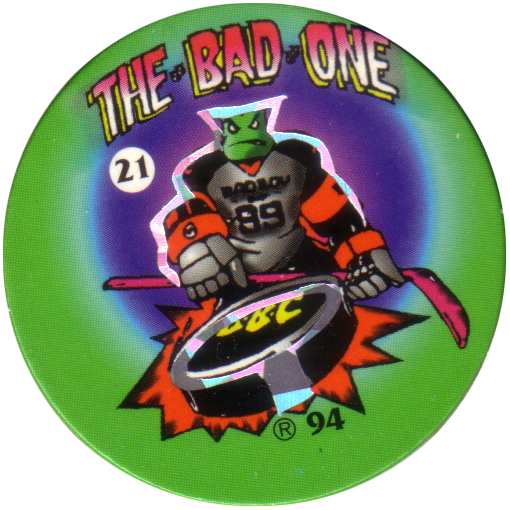 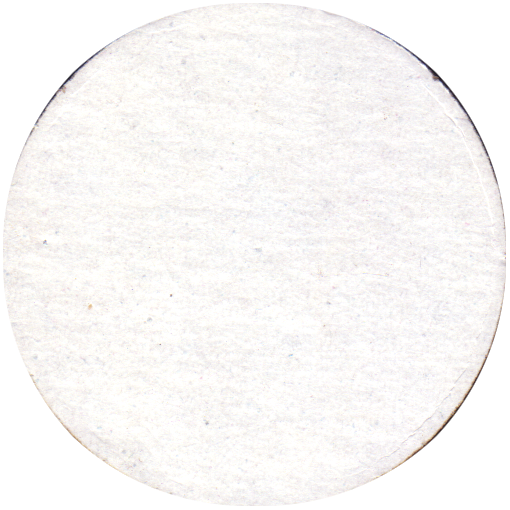 The printing of the holographic foil on many of the pogs seems to be mis-aligned with the image it is printed over.